California motorists pay some of the highest fuel prices in the nation, and considering the number of miles Southern Californians drive, gas mileage can be a serious concern. 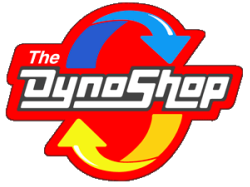 If your vehicle is experiencing poor gas mileage, The Dyno Shop has some helpful tips that can help you improve your gas mileage. Track Your Mileage –Next time you fill-up, set your trip odometer to zero. Drive until most of the gas has been consumed, then refill the tank. Divide the miles traveled on the trip odometer by the amount of gallons it took to refill the tank The result will be your car's average Miles Per Gallon for that driving period. Compare the mileage per gallon with the manufacturer specs are for the vehicle. Remove Roof Racks – Roof racks are great for extra storage on long trips but not only will the gear attached to them create aerodynamic drag, but the empty racks themselves will interfere with your cars aerodynamic design, resulting in lower gas mileage. Ease Off the Lead Foot – The faster you drive and the quicker you accelerate, the harder your engine has to work and the more fuel it consumes.. Slowing down just a bit and avoiding 'jack-rabbit' starts can help contribute to better gas mileage. Properly Inflate Tires – Over or under-inflated tires can impact mileage. Tires are designed for a specific tire pressure. If they are under- or over-inflated, the resistance to the road becomes greater. Check your tire pressure weekly and keep them at the recommended PSI. Properly Maintain Your Vehicle – Regular vehicle maintenance can improve your mileage. Change air filters when recommended or when dirty. Change oil and oil filter regularly. Changing spark plugs and cleaning fuel injectors can also improve mileage. Bring your vehicle in to us for all maintenance needs. 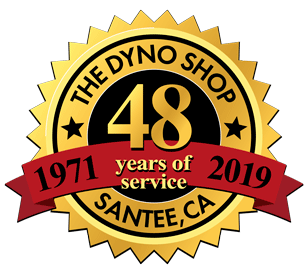 At The Dyno Shop, we have been helping motorists in San Diego get the best out of their vehicles, new and old for years. Give us at call to find out more information or schedule an appointment. While we can’t control the price of gasoline, we can help your vehicle get the best mileage possible.